To think that as long as you’re using all the right keywords while maintaining just the right density, you will always be good to go, would be grossly underrating what goes into making a fantastic copy. A part of providing SEO services India and other places included is always combining the right usage of keywords with a more than decent writing quality to finally come up with an engaging read; a piece that readers find so interesting, it’d be impossible not to finish it. One might even say that an engaging copy is many times better than a search engine optimized one. It especially holds true in the current times, as Google has raised its standards by demanding content that is useful, engaging, and has a good quality to it, even if it isn’t optimized or mobile-friendly for that matter. The first thing an SEO expert agency would ask of you is to never think of the main points in your copy as if they are separate entities. Rather, your task is to try and bring together these seemingly different ideas in a coherent manner. Say, you want to build a house. So, the first thing you’ll obviously do is, lay a strong foundation. Similarly, to have a properly structured copy, you will need an introduction to lay a decent foundation for your major point. Next on, you will move from one section to another, while making sure every point builds on the previous one, till they all come together beautifully in a proper structure – just as the framing, beams, and supports hold up the roof and walls of a house. To put together a coherent piece, you can make use of transition phrases while jumping from one section to another, start from less complicated concepts while gradually moving towards the more complicated ones, and finally, explain how various ideas in your copy make sense when tied together and put in context. One doesn’t need to be an SEO expert India to understand the importance of crafting a great introduction part – such should be the writing, that it compels a visitor to read ahead, and eventually convert. So, spend some time on perfecting your hook by editing the content ruthlessly (a harsh self-critic is what you need to be here). Make sure the sentences concise and clear. There should be no grammatical or spelling mistake. The writing should be direct as well as captivating. Also, don’t make the reader wait too long before the reason for you writing this piece – that is, the ‘why’ of your content. The easiest way to make a piece of content more user-friendly, you ask? Break up the sentences. Forget most of the things you learnt in your high school essay-writing. When making a digital copy, write shorter paragraphs, and try to have more line breaks between them. Make use of markers, such as headers, subheadings, bullet points, bold and/or italic text, and so on to differentiate all the information you’re giving out. A really important and equally formidable task for any SEO services company in India is to write a copy that makes the reader feel as if the writer’s right there – right next to them – telling them what needs to be changed or done, and how. That’s what we call an actionable copy. The writing has to be pointed, direct, and immediate – like it’s happening in the now. A simple way to draft an actionable copy is by making use of more action verbs while giving your audience some direct commands. Use simple present tense, avoid passive voice, and write in the second-person. Being an SEO writer, you would already be using your target keyword in the headline itself. But, if you’re doing just that, then you need to step up your game. The first thing to do is research – get to know what are the kinds of headlines that get most clicks and/or shares from the readers. The more you stay current on the latest developments in the field, the more it will help your writing be the kind that tempts the modern reader to keep on reading till the end – maybe even re-read, and furthermore share it on social networking platforms. An integral part of a good conversion copy has to be its CTA. Call-to-Action is what provides a direction while encouraging the readers towards the action you want them to take. A powerful CTA inspires a reader to ask for more; it makes a simple blog post into a powerful sales pitch for the brand. Therefore, CTA says a lot about whether or not you have the best SEO company in India working for your brand. A CTA should be persuasive, straightforward, in addition to including action words; but, most importantly, it should be able to motivate them to follow up on the action that you want. Any SEO company in India would agree, that while content optimization is what makes your copy, and therefore, your brand discoverable, to further be seen, appreciated, shared and so on, it’s nothing if your writing is sloppy, not user-friendly, and of poor quality. 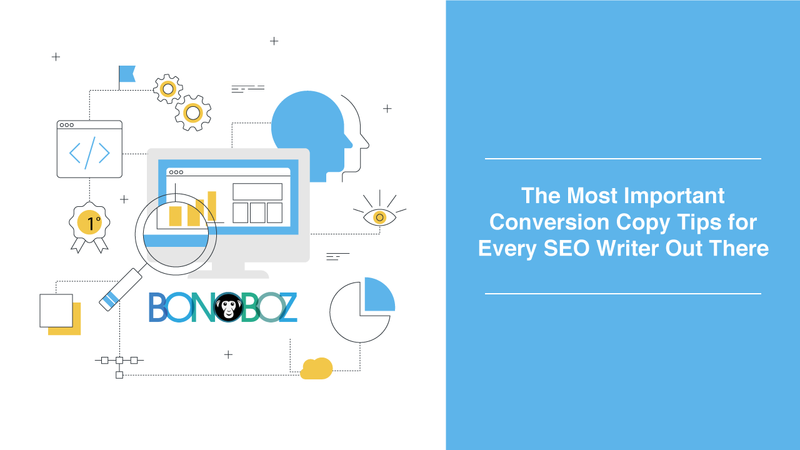 If you are an SEO writer who stresses on the need for keywords and nothing much of anything else, it’s fine you bring your focus on your most significant critics – that is, your human readers.